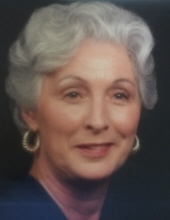 Mrs. Annette Thomson Faulkner, 80, was born on June 21, 1938 in Huntsville, Texas to parents, E.L and Jewel Thomson, and passed away at her home in Conroe, Texas on March 21, 2019 where she lost her courageous battle with cancer. She is preceded in death by her parents. Annette was a graduate of Conroe High School class of 1956 and was on the Honors Society, moved to Nacogdoches, Texas shortly after graduation and attended Nacogdoches Business School in 1956-1957. Around this time she met and married the love of her life, Clifford and moved back to Conroe, Texas. She and her husband Clifford ran family owned business in Conroe, Texas, one of the businesses being a Exxon Service Station off of East Davis St. downtown Conroe in the early 80’s and Triple “F” Machine shop off Airport Rd. in Conroe, Texas since 1989. Family and friends were Annette’s delight, she was a devoted and loving wife, mother, grandmother, great-grandmother and friend. Annette rarely missed family events and loved bringing the family together. She loved cooking and caring for her family and was very proud of her family. She always sacrificed her needs for the good of her family. Besides her family being her biggest interest her other interests included cooking, gardening, tending to her chickens, going to garage sales, playing cards, craftworks and she was a huge fan of dirt track racing and even won #1 fan of the year which she took great pride in. She is survived by her loving husband of 59 years, Clifford J. Faulkner of Conroe, Texas; sons, Richard Kyle Faulkner and wife Bobbie of Conroe, Texas, Roger Alan Faulkner and wife Belinda of Cut and Shoot, Texas; grandchildren, Heather Faulkner of Conroe, Texas, Dylon Faulkner of Conroe, Texas, Lacey Faulkner of Conroe, Texas, Dalton Faulkner and wife Kelsey of Cut and Shoot, Texas, Kirbie Traylor and husband Cody of New Waverly, Texas, Baillie Smilie and husband Kevin of Conroe, Texas; great grandchildren, Skyler, Shayna, Allie, Layne, Paton, Ava and Kambrie; sister Ruby McAlister, a special aunt Agness Miller and two very special cousins, Cheryl Easley and Beverly Woodman along with numerous nieces, nephews, other relatives and friends. To send flowers or a remembrance gift to the family of Annette Faulkner, please visit our Tribute Store. "Email Address" would like to share the life celebration of Annette Faulkner. Click on the "link" to go to share a favorite memory or leave a condolence message for the family.